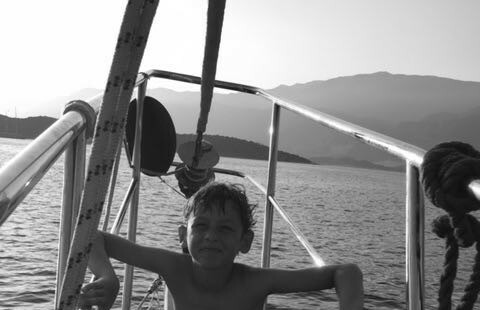 It is the first time I have ever taken a sailing holiday and it is a great experience, spending time on the south Turkish coast, with occasional visits to nearby Greek islands. Although I am learning that keeping my three sons in such a confined space for long periods of time was never going to make for a relaxing trip! It would be easy to list observations to evidence the failure of the Greek economy – particularly unemployment which, in Greece, is currently 30% compared to Turkey’s 9%. It is that statistic, more than any other, which is visible and obvious. Turkey appears to be a country on the move, whilst Greece looks like it’s sleeping. Turkish infrastructure (even small harbours’ and ports) is modern and being invested in, whilst Greek facilities are often run down. However, the International Monetary Fund still ranks Turkey as an ‘emerging economy.’ By definition, its infrastructure will be more modern and up to date as its population works hard to ‘catch up’ with its supposedly more developed neighbours. It is particularly relevant to review the failures in the Greek economic system today, when German MPs have voted to approve Greece’s third bailout deal, worth some €86bn. Their Finance Minister, Wolfgang Schaeuble, said it would be “irresponsible” to oppose the package. I have been a frequent visitor to Greece over the years and seen how the crisis has affected the business and lifestyle of clients first hand. And Knightsbridge Wealth continues to work hard to provide Greek clients with the best advice to manage their assets in these challenging times. However, my thoughts today are less about the problems in the Greek economy but about how better placed Turkey is to deal with the inevitable ups and downs of every economic cycle. Turkey has had a difficult few years, yet its currency has devalued significantly to help it remain competitive. Greece’s problem is simply that it doesn’t control its own monetary policy. And it has very explicitly been excluded from the generosity of central bankers because it has refused to make huge sacrifices in order to do what most developed countries have also failed to do – get its books in order. Within Europe, the European Central Bank (ECB) has printed money and bought the debt of other nations whose debt dynamics are not much better than those of Greece. This is a political decision, not an economic one. This isn’t the fault of the Greeks or the Germans. It’s the inevitable result of tying entirely different economies and cultures together under one currency. As William Hague put it, when future generations look back on this period, “their textbook is likely to say that the Greek debacle of 2015 was not the end of the euro crisis, but its real beginning”. The fact that Grexit came so close to happening means that the Euro is no longer seen as a currency union with no exit door. The eventual withdrawal of a country from the Euro-zone will be traumatic for markets and should remain a consideration when preparing any investment strategy. My holiday means I am enjoying what both these great countries have on offer. Turkey has come through recent economic difficulties quickly and demonstrates true confidence, whilst its ambition to join the European system has quietly evaporated. It will be interesting to see when such confidence will again be visible in Greece.